Your future geologist will learn to test, classify, and identify 5 specimens each of the three types of general rocks including Igneous, Metamorphic, and Sedimentary. This is a great way to observe and learn about rocks close up and hands-on. 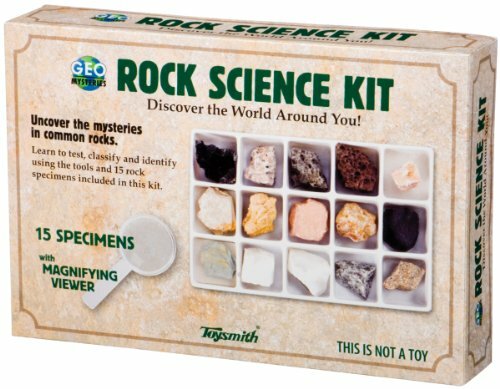 Use the included magnifier and instructions to discover the secrets of these 15 rocks! Create your own precious crystals! Safe and easy to do!